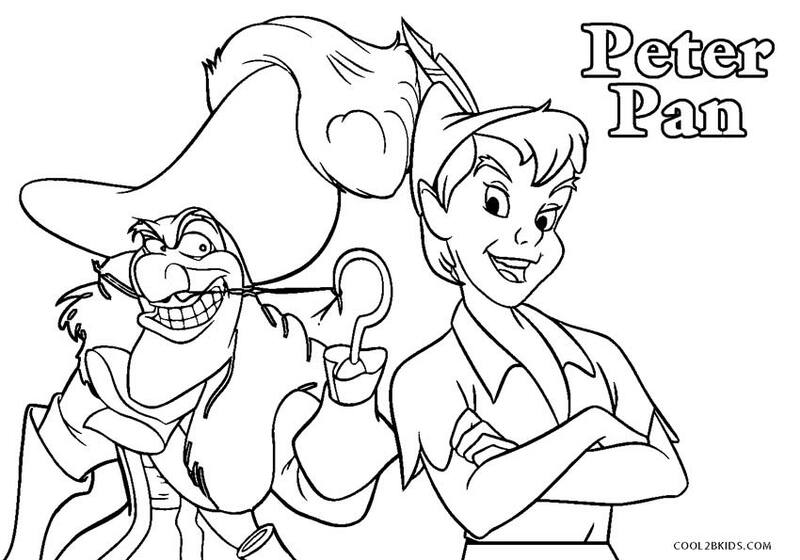 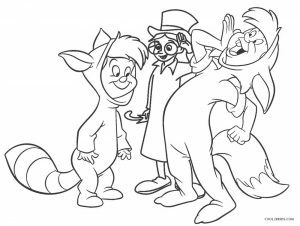 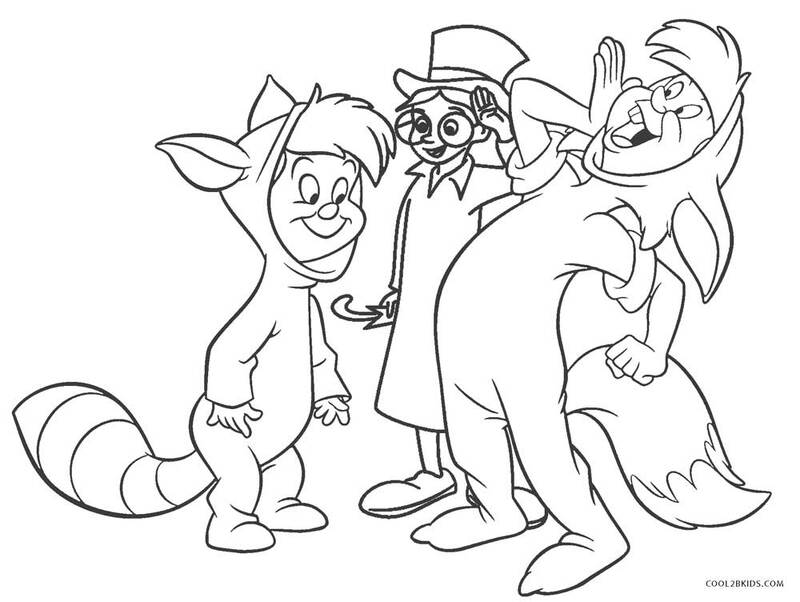 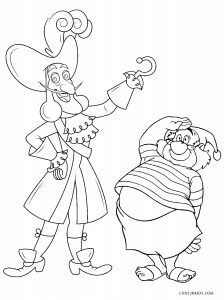 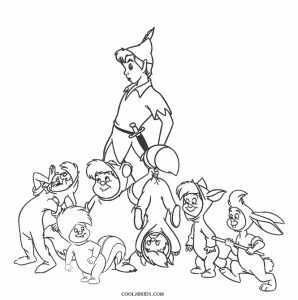 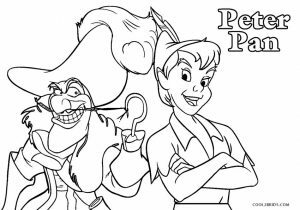 Dive into the world of Peter Pan by putting color to the free Peter Pan coloring pages. 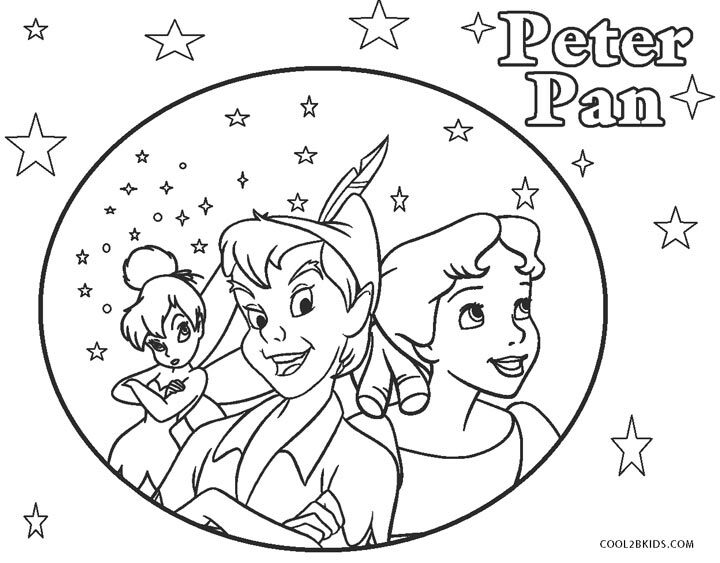 The canvas can be lit up in bright shades by little hands. 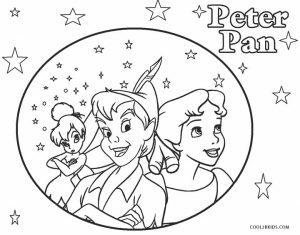 Peter Pan’s dress and cap can be colored in soothing shades of green as he is featured in the Disney movie. 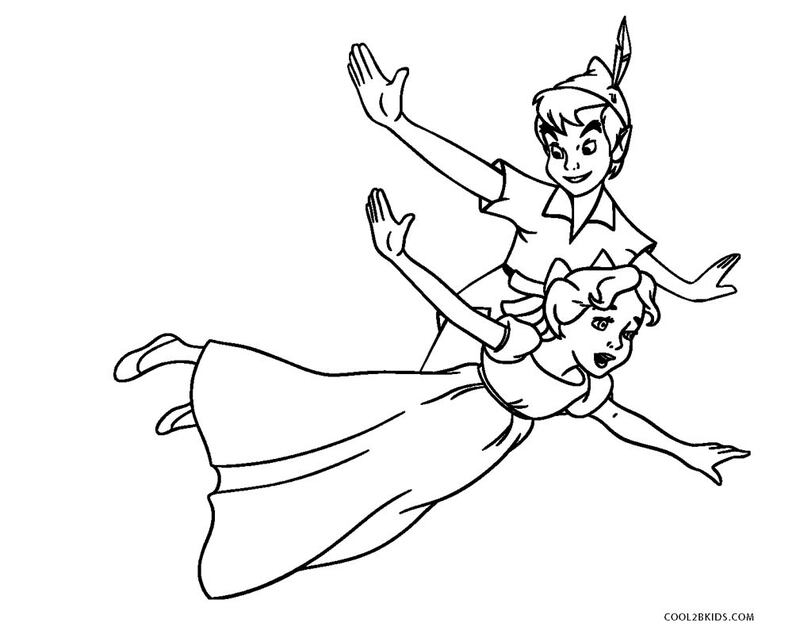 Tinker Bell can also be seen featured on the printable pages. 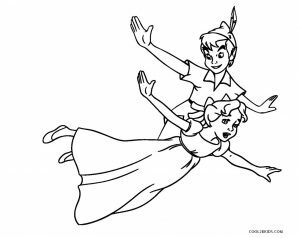 The fairy would look lovely in lighter shades of green for her dress and blue for her wings. 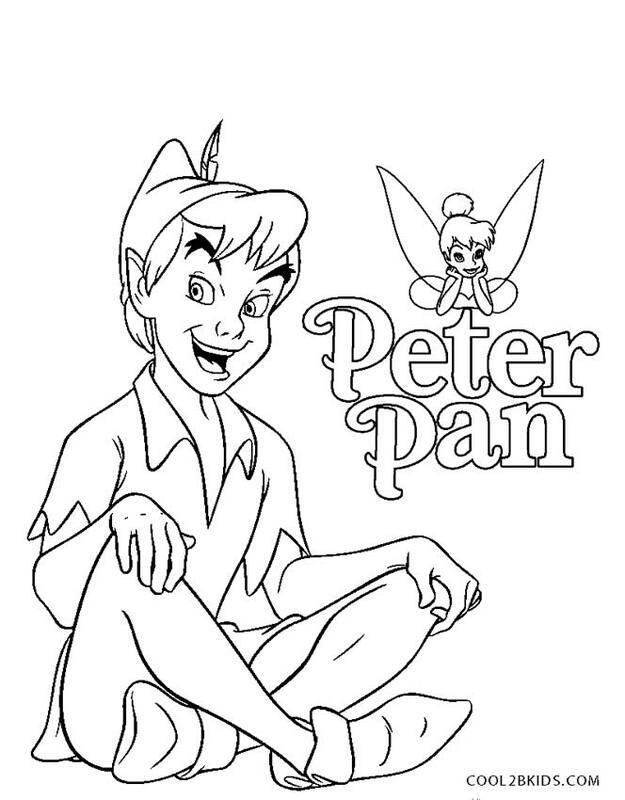 The name of the fictional character is written in bold in one of the unique pages. 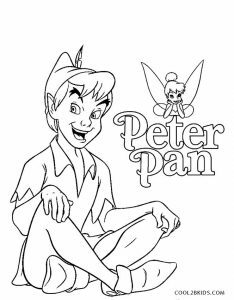 It would help little ones to get the spelling of his name right. 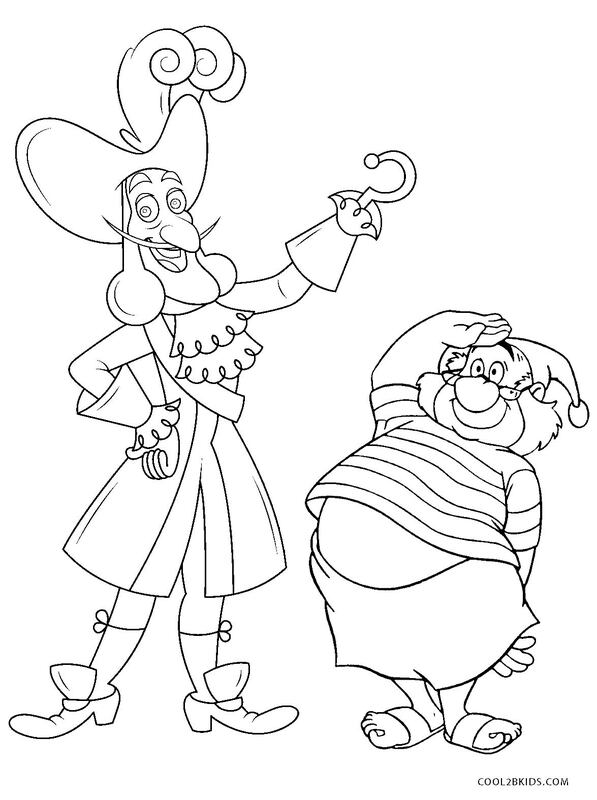 Children would like to opt for darker shades of browns and grays for the chief antagonist Captain Hook. 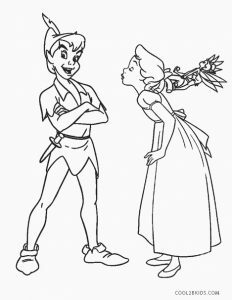 Wendy would look beautiful in light blue. 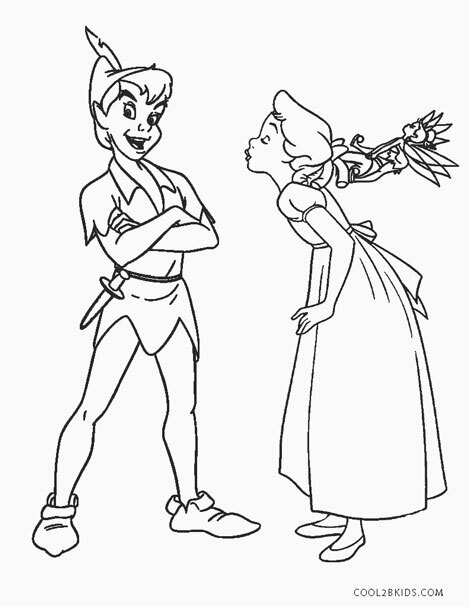 You would find the romantic scene of Wendy and Peter as depicted on the pages bring a smile to little faces. 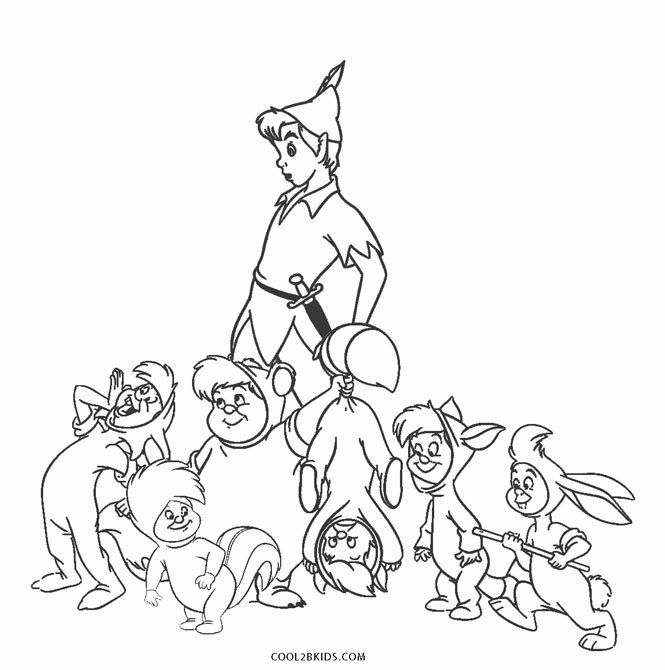 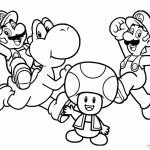 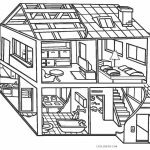 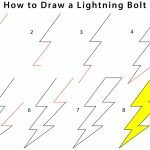 It would be fun to go back to the carefree days of childhood by completing the coloring activity.